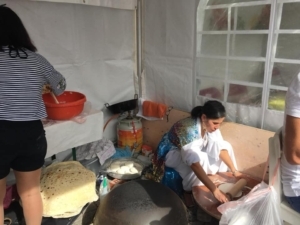 For the third time in a row, members of ACOM and Chaldean League Belgium have been able to present their food culture at the Central Square in Mechelen during the car-free Sunday of 16 September 2018. As in previous years, one could taste the various Mesopotamian cheeses and the traditional bread. A culture consists of different aspects such as language, traditional dress, folk dance, traditions, heritage, etc. Eating habits are also part of this. That is what these zealous Chaldeans realize all too well and that is why they want to make the difference by protecting and continuing their culture for the next generations of Chaldeans. And that is a good thing, because what is a culture if one does not know its content anymore and does not experience it anymore? In that case, it remains with a name and the culture is threatened to be lost little by little. This is not different in the Chaldean community. Today it is only the oldest generation of Chaldeans who still manages to make traditional bread and cheese and unfortunately this is hardly passed on. 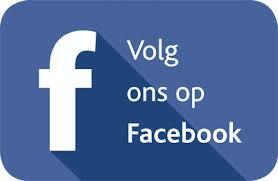 It is therefore not an easy process and young people show no great interest in this. Lack of time is often a reason, but for such matters there is never time in contemporary society and no attention is paid to it. And yet it is important that the youngest generation learns it and passes it on, because as one says “one only knows what one misses when it is no longer there”. 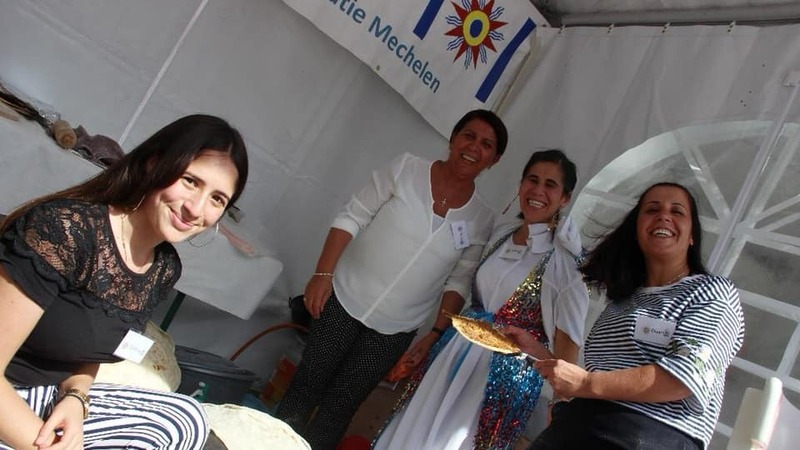 Chaldean League Belgium and Active Chaldean Organization Mechelen, abbreviated ACOM, are Chaldean organizations that are committed to putting the Chaldean people and its culture on the map in the diverse society in Belgium. Their committed members take the free time needed for this with much love, despite of their busy daily life. They are satisfied with the fact that the culture continues to live for the next generations.